A 35-year-old Albanian about whom foreign media reports that hi is a pedagogue at a public university in Albania has been arrested in Malaysia after being accused of having links to the ISIS terrorist group in Syria and Iraq. He is arrested under a large-scale action taken in Malaysia, where 8 people are also arrested. His name is not made public. Eight suspected militants, five of whom are related to the group Abu Sayyaf (ASG), whose base is in the southwest of the Philippines, were detained after a major deal in three states, "a local police inspector said in Malaysia, in Southeast Asia. 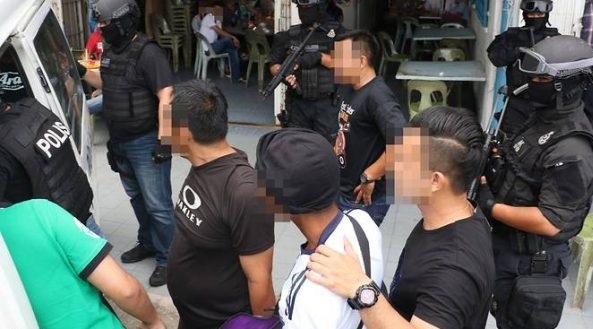 General Police Inspector said the suspects were detained in three regions, in Sabah, Selangor and Perak between September 27 and October 6, during the actions of local police. In the first series of arrests in Sandakan and Sabah on September 27, two Malaysian men are arrested, two Filipinos holding a permanent Malaysian resident status. "We believe they were making relating to ASG militants in Malaysia," the officer said. Police inspector said a 35-year-old Albanian, who is a lecturer at a public university in Albania, has also been arrested in Selangor on October 1. "Intelligence showed that he has links to Islamic State (IS) militants abroad," he said, referring to the Islamic group in Iraq and Syria (ISIS). Also a 53-year-old is suspected of recruiting prisoners in Tapah prison and planning to launch attacks on Muslim, Christian and Hindu sacred places.